Hurricane at Dixie, St. George, Utah, Jan. 23, 2014 | Photo by Robert Hoppie, St. George News. ST. GEORGE — Brooklyn Gubler is a one-woman wrecking crew on the basketball court, but when she gets some help, the Hurricane Lady Tigers are a major force to be reckoned with. Gubler had 17 points, right on her average, and she was helped out by London Steglich (17 points) and Sela Filo (14) as Hurricane decimated Dixie 62-40 Thursday night. The win puts the Tigers at 5-2 in region, still two games back of No. 1 Desert Hills, but in a tie with Snow Canyon for second place and in great playoff position. Hurricane never really gave Dixie a chance. It was 6-5 early, but Steglich, a 5-foot-7 junior, hit an inside basket to start an 11-2 run to close out the first quarter. Gubler followed Steglich’s bucket with three straight of her own, including two inside baskets sandwiched around a 3-pointer. Steglich closed the first period with a 15-footer to make it 17-7. 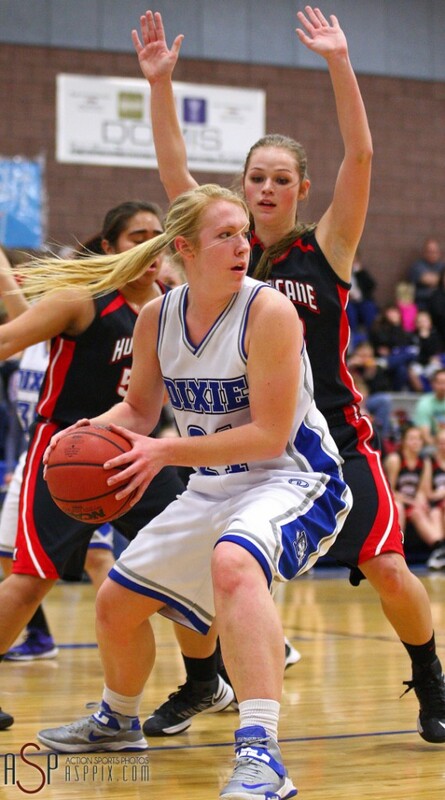 Dixie’s only basket in the five-minute stretch was a Hadli Gledhill jumper. 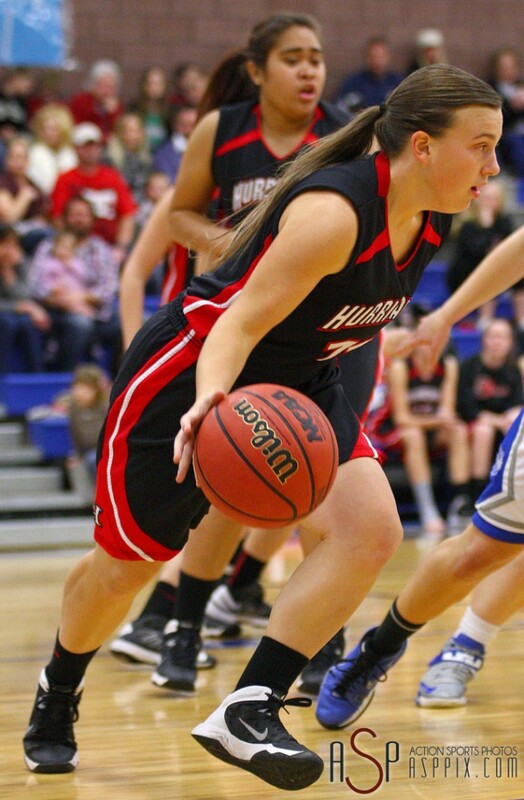 Alexa Estridge (22) looks for a shot, Hurricane at Dixie, St. George, Utah, Jan. 23, 2014 | Photo by Robert Hoppie, St. George News. The Lady Tigers outscored Dixie 11-6 in the second quarter to build the lead to 28-14 and the romp was on. Steglich hit her only 3-pointer of the night in the second period. Hurricane, which has won three straight, also got 8 rebounds and 3 assists from Filo, who had her best game since December of 2012. The 17 points for Steglich is a career-high. The Lady Tigers, 10-6 overall, play at home against last-place Pine View next Tuesday night before three straight road games against the first place (D-Hills), second place (Snow Canyon) and fourth place (Canyon View) teams in the region. The Lady Flyers, who had won two straight heading into the game with Hurricane, got 18 points from Alexa Estridge and 8 from Gledhill, but star Liz Empey was held to just 4 points. 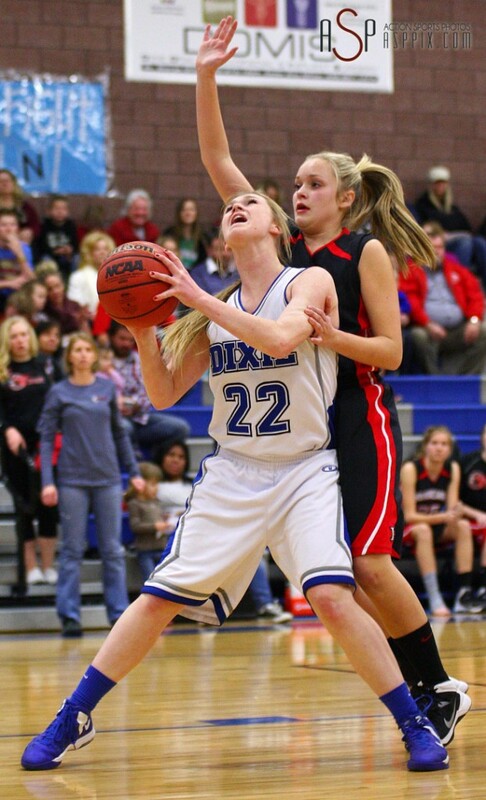 Dixie, 7-8 and 2-5, has a battle at Desert Hills Tuesday night, then visits Cedar next Thursday. The Lady Flyers are in fifth place, a game behind Canyon View. Faced with the reality of not having senior star Grace Walton the rest of the season, the Lady Warriors sucked it up and put together and impressive performance at home Thursday night. Three players scored in double-figures, including sophomore Nikenna Durante, who doubled her career-high by scoring 10 points. Ashlee Nyborg had 15 to lead the way and Madison Mooring added 11. Walton, who injured her knee and hopes to return for the softball season, will be missed as she averaged about 11 points a game for the Lady Warriors. But SC played well without her Thursday night, starting the game on a 9-2 run, sparked by Nyborg and Mooring. By the end of the first quarter, the lead had ballooned to 15-5. Durante had a nice assist on a Morring basket, followed by a 3-pointer of her own to help the Warriors push it to 30-15 at the half and Snow Canyon rolled from there on. The Warriors, 9-6 overall and 5-2 in region play, stop a two-game losing streak with this win and have a bye Tuesday night before Thursday’s visit to Pine View. Canyon View, which was led by Tayzha Blackner’s 11 points, fell to 8-8 and 3-4. The Falcons have lost two straight. The routs continue for the Lady Thunder, who improved to 7-0 in Region 9 this season with the 35-point win in Cedar City. Cedar actually gave Desert Hills its closest region game of the season before Christmas, a 57-42 affair. And the Lady Reds were within 10 at halftime in this game by playing tough defense. It was only 25-15 at the break. But Desert Hills turned on the jets in the second half, outscoring Cedar 37-12 after intermission. It must have been a pretty good halftime speech by head coach Chris Allred as the Lady Thunder opened the third quarter on fire, rushing out on a 19-2 run in seven minutes. Haley Bodnar, Blair Bliss and Ashley Beckstrand combined for 17 of the 19 points in the run and it was 44-17 with less than a minute to go in the third quarter. Beckstrand and Bliss finished with 16 points each in the game to lead the way for DH, while Bodnar chipped in 11. 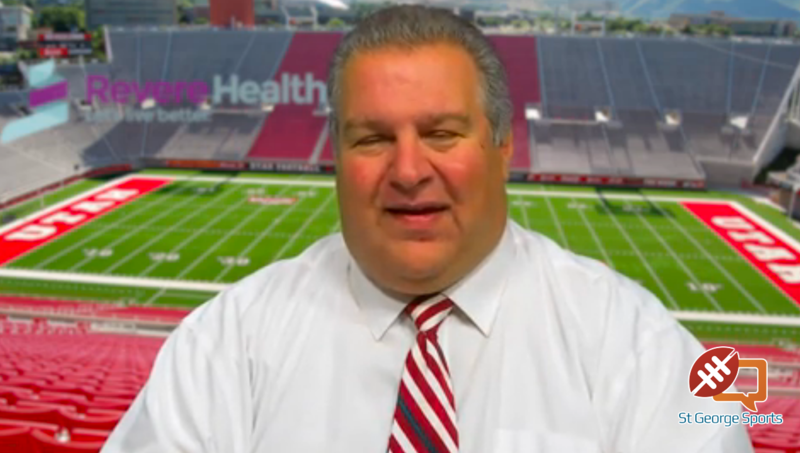 Desert Hills, which is 16-1 overall, has won 10 in a row. D-Hills plays two straight home games next week, Tuesday vs. Dixie and Thursday vs. Hurricane. Cedar, 8-9 and 2-5, was led by Courtney Morley’s 11 points. Javlyn Weaver added 6. The Lady Reds are tied with Dixie in fifth place, a game behind Canyon View. Only four teams qualify for the state playoffs. Cedar plays at Canyon View Tuesday. 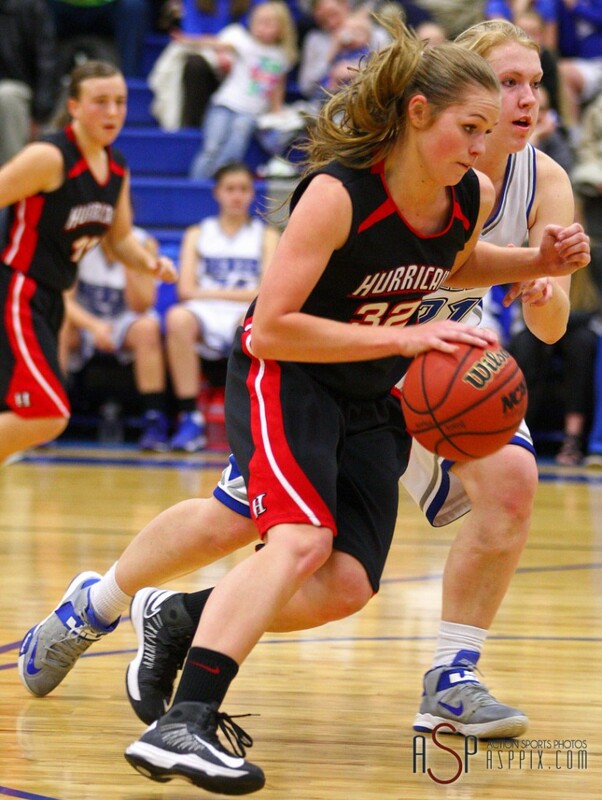 Maddie Hall, Hurricane at Dixie, St. George, Utah, Jan. 23, 2014 | Photo by Robert Hoppie, St. George News. Taylor Whitson (20) shoots over Brooklyn Gubler (32), Hurricane at Dixie, St. George, Utah, Jan. 23, 2014 | Photo by Robert Hoppie, St. George News. Keepaway! Hurricane at Dixie, St. George, Utah, Jan. 23, 2014 | Photo by Robert Hoppie, St. George News. 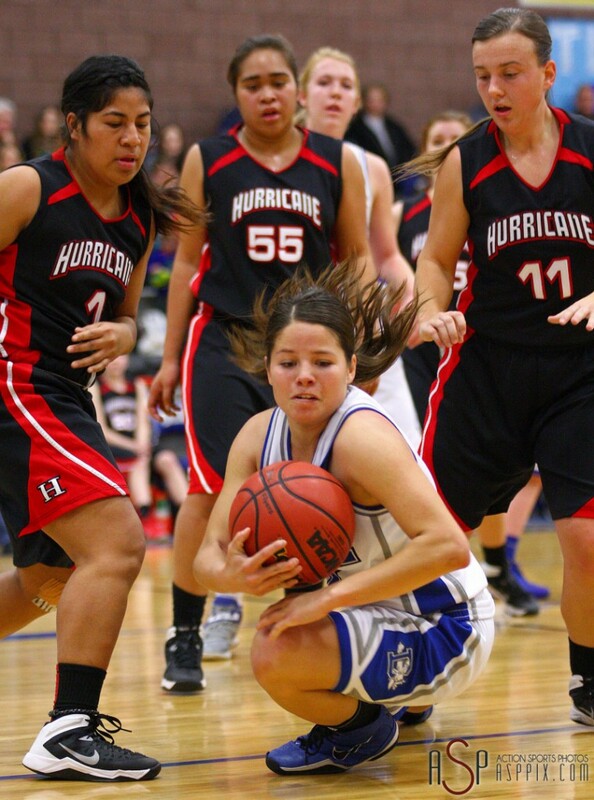 Liz Empey (21) looks for a shot, Hurricane at Dixie, St. George, Utah, Jan. 23, 2014 | Photo by Robert Hoppie, St. George News. 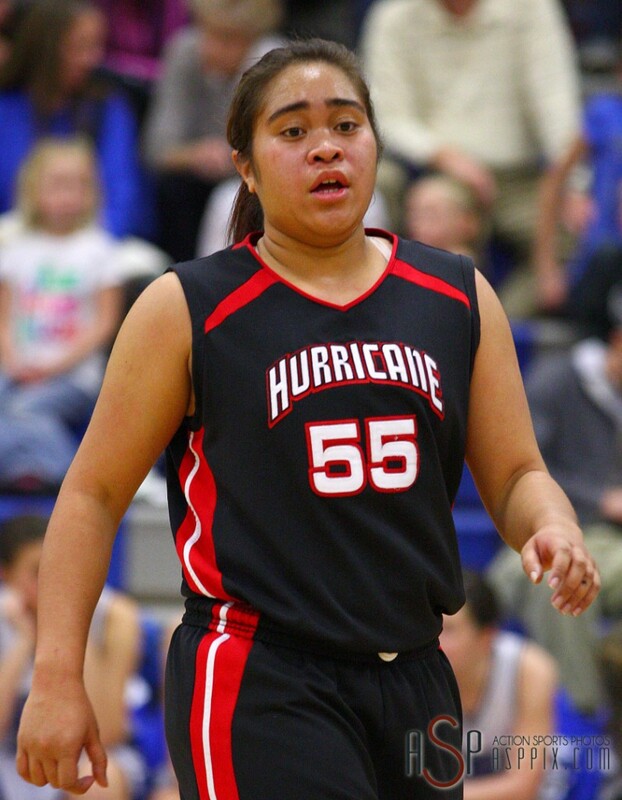 Sela Filo, Hurricane at Dixie, St. George, Utah, Jan. 23, 2014 | Photo by Robert Hoppie, St. George News. 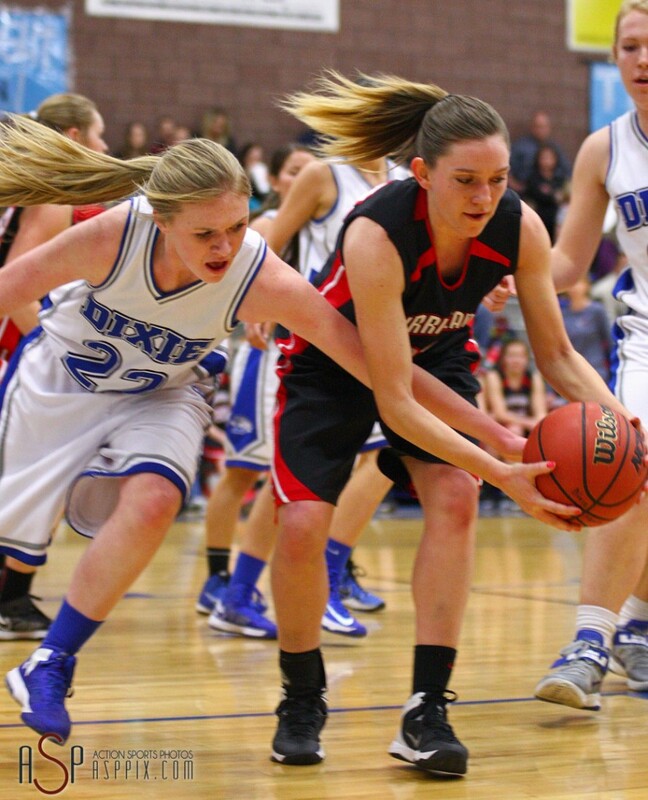 Brooklyn Gubler drives with Liz Empey on the defense, Hurricane at Dixie, St. George, Utah, Jan. 23, 2014 | Photo by Robert Hoppie, St. George News.